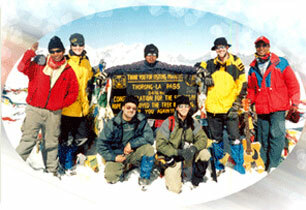 Trekking in Nepal is one of the popular tourism activities in Nepal. Nepal trekking tour provides an opportunity to be in natural surroundings and to get away from the milling crowds of the cities. The first trekker in Nepal was Bill Tilman, who trekked in Annapurna, Langtang -Helambu and Everest regions having permission from the Maharaja (Rana Prime Minister) in 1949 than continue explore the Nepal trekking trails for trekking in Nepal Himalaya. Trekking in Nepal Himalaya is way to experience Nepal's invincible combination of Natural beauty and cultural riches is to walk through in Himalayas. Along the trekking in Nepal with different species of forests, Rhododendrons, Spur, pine, herbs tangles, deep & narrow valley, along mighty boiling river gorges, isolated hamlets, picturesque Mountains, will also discover all sorts of gorgeous animal and wildlife, temples, monasteries, and breathtaking landscapes of Himalayan kingdom of Nepal. Nepal has numerous routes trekking trails from one village to the other, between adjoining Nepal Himalaya pasture and across well defined high altitude passes, where people travel from one valley to other for trade, cultural exchanges, and religious activities. Since Nepal trekking routes has been open Himalaya Journey Treks & Expedition , has depth experience to operate Nepal popular trekking trail Annapurna region ,Everest Region, Langtang region , Nepal restricted trekking trials, Nepal remote and wilderness , Nepal non touristy trekking routes in Nepal . Nepal Trekking usually consists of a series of ascents and descents walking 5 to 7 hours and 9 to 14 kilometer a day on average with a trekking guide, cook and porters and on some occasion's pack animals. The intention of Nepal trekking tour is not just the particular destination, but also the journey itself in Himalayas. Nepal trekking route will often pass through forests of rhododendron, bamboo, oak, and hemlock, visiting one or two villages each day. Rivers are crossed on log passages or suspension bridges. Himalaya Journey Treks & Expedition is to ensure your comfort and safety as we take you where you want to go, at your own pace in Nepal Himalayas. HJT professional staff will show you what you have come to see, and help you discover things you had no idea about the Nepal Himalayas. HJT professional trekking operator will offer variety of different trek to Nepal Himalaya suit both beginner and experienced trekkers and Whether you have two days or three months to spend in the Himalayas also tailor- make itineraries to suit your needs for Nepal trekking tour. HJT professional tour operator arrange normal to challenging trekking with tea house and camping/tented basis trekking tour in Nepal Himalayas.